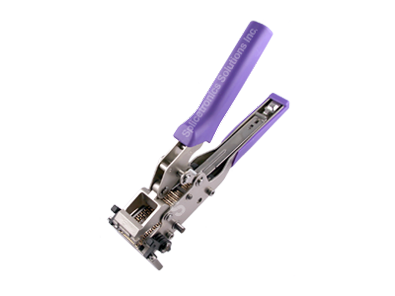 SMT Splicing Tools - Splicetronics Solutions Inc.
Stapler style splice tool used with the CP408 clip frame. Ensures SMT component reels can be joined quickly and securely. 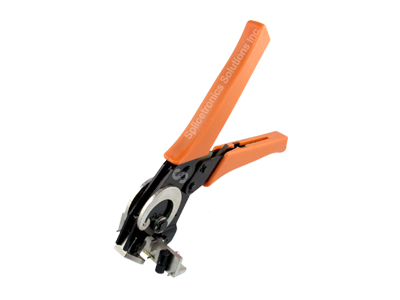 Ergonomically designed specifically for SMT carrier tapes. 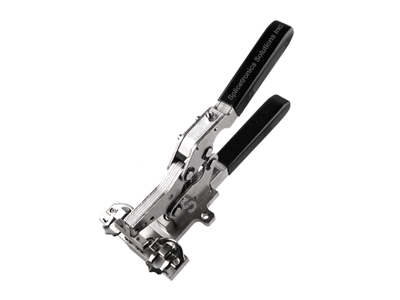 Used with the CP108 / CP208 splice clips. Side brackets to mount to a table or cart. Six guide pins for accurate reel placement. 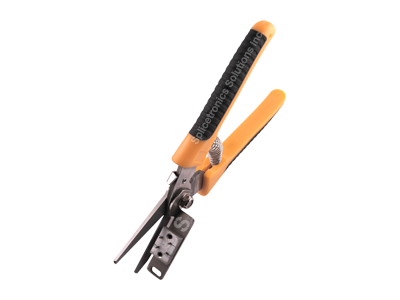 Scissors used to trim SMT carrier tapes. Guarantees a straight cut of component reels.